What’s the simplest way to configure my monitor? If your monitor has a poor display, you may be disappointed with your printed photo book. The most common monitor offence is brightness shining through the dark parts of the image. The photo contains all details. It is clear and bright. But this is not how it actually looks according to the image data. Before you begin to place your images in the photo book, we recommend you try a little test. Display the image below. If you can't clearly distinguish the transitions between individual hues, you will need to reconfigure your monitor's settings. If you don't see the transitions between the darker hues, your monitor's settings are set too dark. 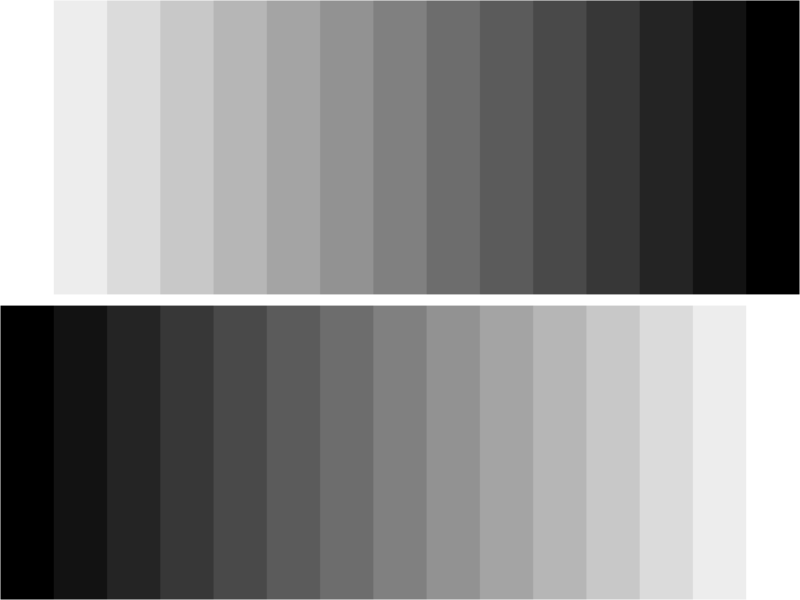 If you don't see the transitions between the lighter hues, then your brightness and contrast settings are too high. Another problem might be color shift on the display. If the monitor shows excess yellow, then yellow will be missing in printed photos. You can run a simple check of the monitor display by comparing photographs with printed copies. If the colors on the monitor are the same as in the photo, then the monitor is displaying correctly. If you want the best possible photos for your book, we recommend that you calibrate your monitor. If you are interested in something else, send us a ticket. How do I determine what color space the photos on my pc are in? How do I prepare color photos properly? How do I prepare data for marvelous black-and-white photos? What photo formats are supported? What size of photo is needed for good-quality print?